It’s back! 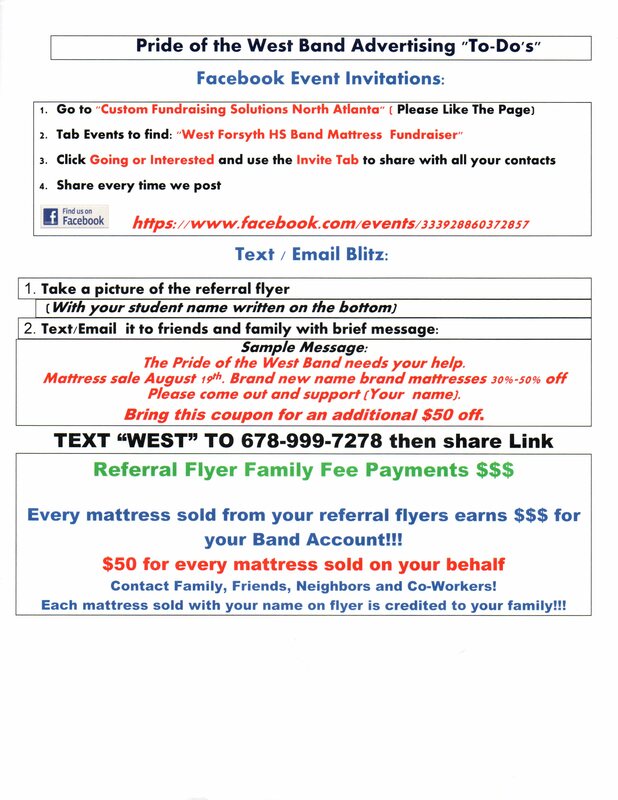 The West Forsyth Band mattress sale fundraiser is back again for 2017 so grab your neighbors, friends and family and come out to support the band by purchasing high-quality mattresses on August 19th at West Forsyth. 1 in 10 households buy a mattress each year. We need everyone to help spread the word about this years’ sale! Help The West Forsyth Band!!! 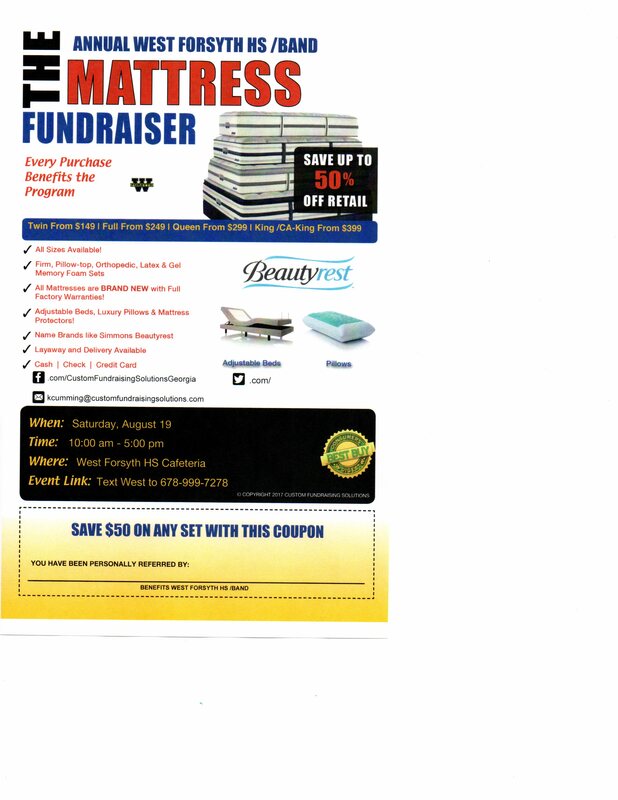 Simmons Beautyrest and other name brand factory direct mattress sets will be sold at 30-50% below retail prices. These are all top quality made in USA mattresses with full factory warranties. Huge showroom with 23 sets to try out in all types and sizes as well as adjustable bed bases and luxury pillows. Firm, plush, pillow top and memory foam sets at savings up to 50%! Prices start at $149.00. Proceeds go directly to help the Band! This email = an additional $50 off any set!!! !